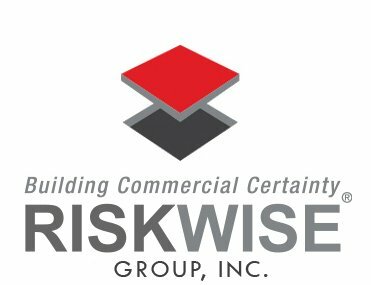 RiskWise Global Capital Group is a company mainly involved in providing strategic, technical and project risk management services. They specialize in the preparation, financing and delivery of project and business solutions. RiskWise founder and CEO Michael Foxman has been in the risk management industry for years. He has covered a comprehensive range of sectors, such as casino and gaming, mining and infrastructure development, leisure and hospitality, G-2-G trade relations, and telecommunications. The company has done projects internationally and maintains operations in every continent. Mr. Foxman is a Zionist and says his family has nurtured a thriving Jewish community in Fort Collins, Colorado. He established the Chabad Jewish Center of Northern Colorado, which includes a kosher bistro, a dormitory at the Colorado State University campus, and numerous Jewish students. In the country, RiskWise is concentrating its efforts on pursuing different projects that encourage the ideals of planning for the future in a morally and economically responsible way. Along with its partner companies, RiskWise is looking to hold a significant interest in agricultural and telecom companies. It has formed a real estate investment trust (REIT), which is actively purchasing and assessing quality land in prime locations that will be used for real estate and agriculture development. The company is exploring other real estate development investments in the Philippines. Its plans include developing low-cost and premium apartments, dormitories, condominiums and public infrastructure. It is also involved in ongoing agriculture and telecom infrastructure projects across the country, working with local Philippine banks, global investors, and state-owned enterprises. With RiskWise’s membership in the Israel Chamber of Commerce of the Philippines, Mr. Foxman is looking forward to collaborating with some Jewish or Israeli companies who are also looking for practical, low-risk commercial opportunities. Those who want to get more information regarding the services offered by Riskwise may visit riskwisegroup.com. You may also get in touch with Michael Foxman directly at [email protected].